A new line of micro-positioning shaft collars for linear motion and other applications requiring precise and fully repeatable positioning is being introduced by Stafford Manufacturing Corp. of Wilmington, Massachusetts. 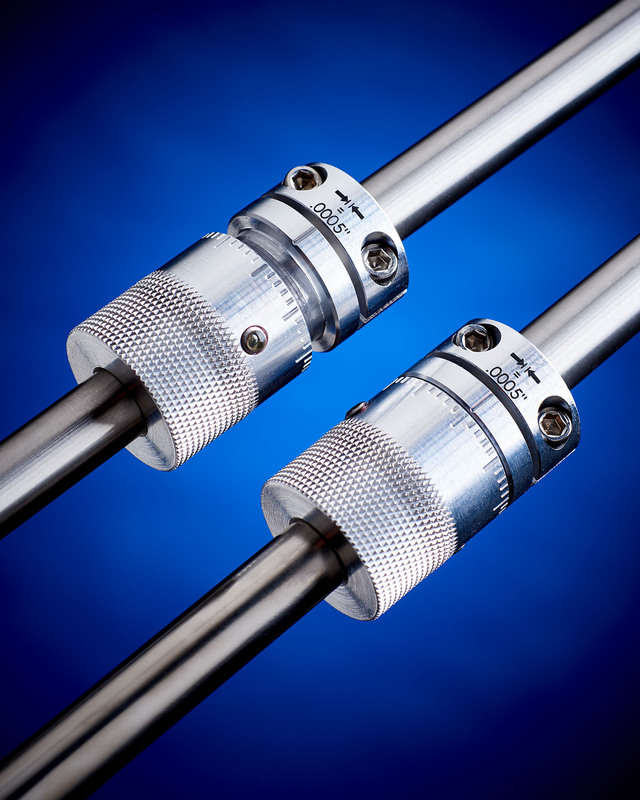 Stafford Micro-Positioning Shaft Collars are fully sealed to protect their internal threads from contamination and provide 0.200” total adjustment in 0.0005” increments. Ideally suited for use as end stops in linear motion systems and related applications, these micro-adjustable collars let users achieve fine-tune positioning with fully repeatable and locked settings. Machined from aluminum and supplied with stainless steel fasteners, Stafford Micro-Positioning Shaft Collars lock into position using an Allen wrench and come in 3/8” to 1-1/2” bore sizes. They have a clear anodized finish and can be supplied in colors to match OEM requirements. Stafford Micro-Positioning Shaft Collars are priced from $95.00 (list), depending upon size and quantity. Price quotes are available upon request.